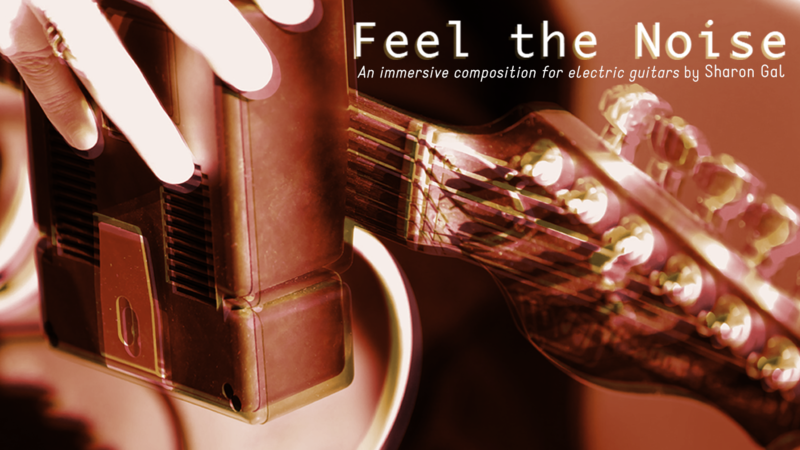 ‘Feel the Noise’ is a living and evolving sound sculpture, introducing an inclusive and egalitarian approach to composition and performance through collaborative music-making. The guitars are played through hand-held mini amplifiers, using a technique that produces low-volume feedback and continuous notes. The players move very slowly, affecting the ambience, projecting their sound and combining it with others, working together to shape and sculpt the sonic material. The piece highlights the relationship between sound and space by exploring and responding to the specific characteristics of the performance environment, architecture and acoustics. 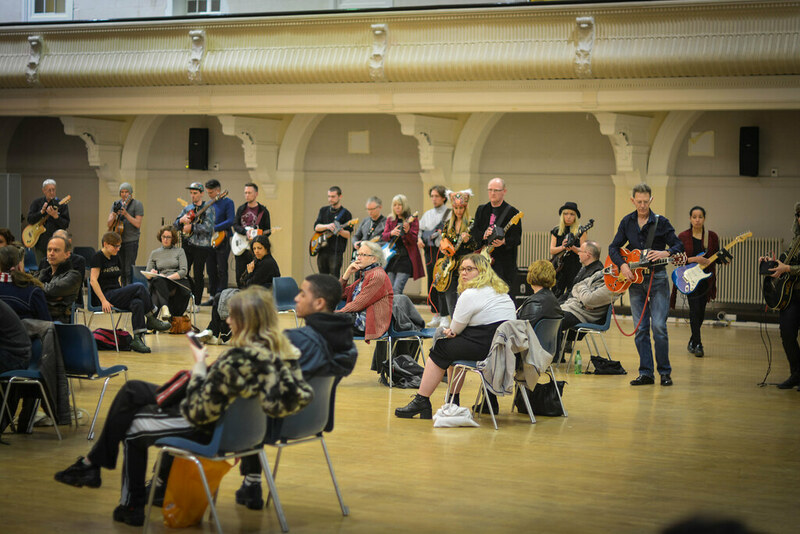 ‘Feel the Noise’ offers artistic engagement, play, and creative exchange as a means to learning and bringing together, presenting a democratic space and collective ownership. The performers/player are invited via an Open Call with the intention to include a diverse range of participants from across the university and beyond. The piece will bring together people with different levels of playing and performance experience. Sharon Gal is an interdisciplinary artist, performer, experimental vocalist & composer, with experience of free improvisation and collaborative compositions. Her work relates to sound, architecture, live performance and participatory art, exploring the psychology of sound and its relationship with space. Sharon performs solo and in collaborations with David Toop, Steve Beresford, Phil Minton, Lina Lapelyte, Andie Brown and Anat Ben David. She also directs a series of participatory compositions exploring the inter-relations between people and place. These pieces offer a democratic space for artistic engagement, play, and creative exchange.